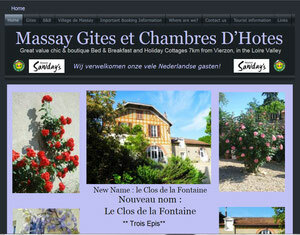 Great value chic Bed & Breakfast and Holiday Cottages 7km from Vierzon, in the Loire Valley. 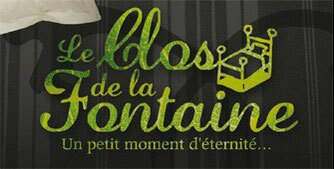 Le Clos de la Fontaine is an intimist place, with a courtyard closed by walls, where you can take advantage of a moment of serenity, in an environment dedicated to the relaxation and the wellness. Our guests can have a rest in their gite or their B&B room, either relax in the courtyard and meet other people, or simply take advantage of the sun and the peace. Le Clos de la Fontaine (Massay gites) is conveniently situated 2km from Juntion 8 of the A20 autoroute, 7km south of Vierzon and 10km north of Vatan. We are situated in the centre of the pretty village of Massay, with its impressive Gothic church, ancient abbey and array of little local shops: a butcher,a deli, a baker, a grocerystore, a post office, a pharmacy and a bar.